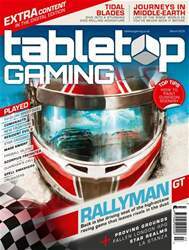 Wargaming puts players on a battlefield without the risks of real-life combat. So what might tabletop games be able to teach actual soldiers? Last December we were lucky enough to visit the Defence Academy of the United Kingdom in Shrivenham. 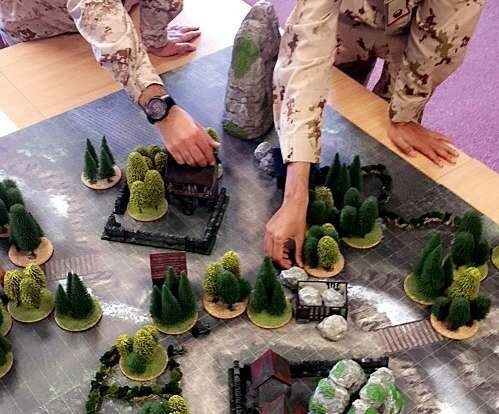 In addition to running our own session (using Captain Sonar to teach English as a second language) we observed cadets working with a homebrew tabletop wargame and later navigating a hostile city using the MoD’s ‘Virtual Battlespace’ (think Call of Duty with fewer pixels and more drones).